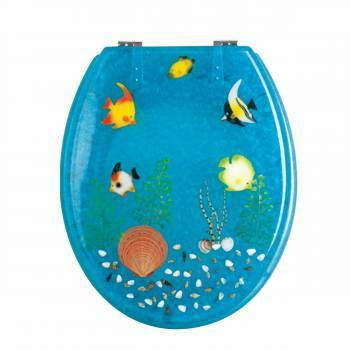 Ocean Floor Toilet Seats: Made of High Grade Polymer this seat is designed for maximum strength & durability & does NOT yellow over time like most polymers. 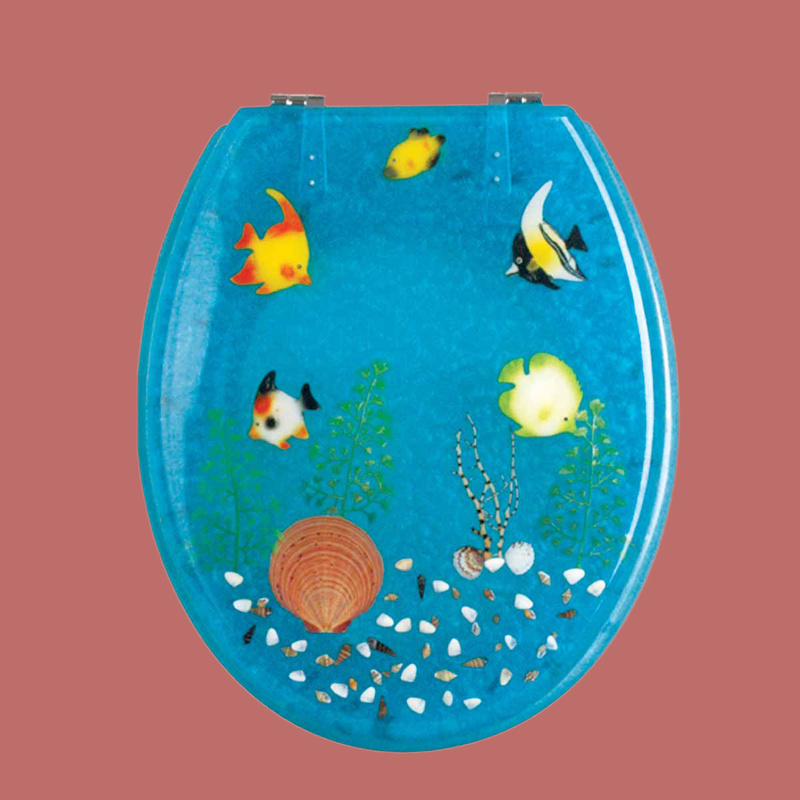 Fits over standard size toilet bowls & comes in a variety of designs. Cast within the seat the stabilizing bumpers prevent rocking & keep the seat safely in place. Solid brass swivel hinges are easily adjustable 3 5/8 in. to 7 1/2 in. & easier to clean. Chrome-plating protects solid brass hinges from tarnishing for years to come. Seat measures: 15 13/16 in. x 14 9/16 in. Lid measures: 14 5/16 in. x 13 1/8 in. The standard fit toilet seat with ocean floor round toilet design incorporates the following features: glossy finish to offer a classic look, cast stabilizing bumpers to help seat fit in a place and polymer construction to help this seat last for a long time. It is carefully manufactured by experts giving great attention to every detail and ensuring the overall design can be easily cleaned and maintained. Shop this unique piece today and enjoy free shipping by placing web orders over $125. 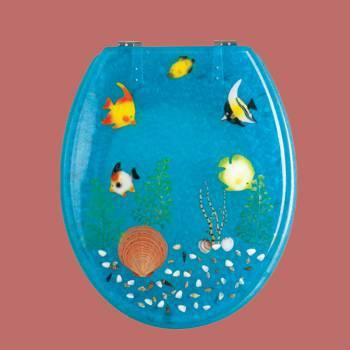 You can install this seat in your existing lavatory to bring in a kind of tropical feel and update your bathroom decor. 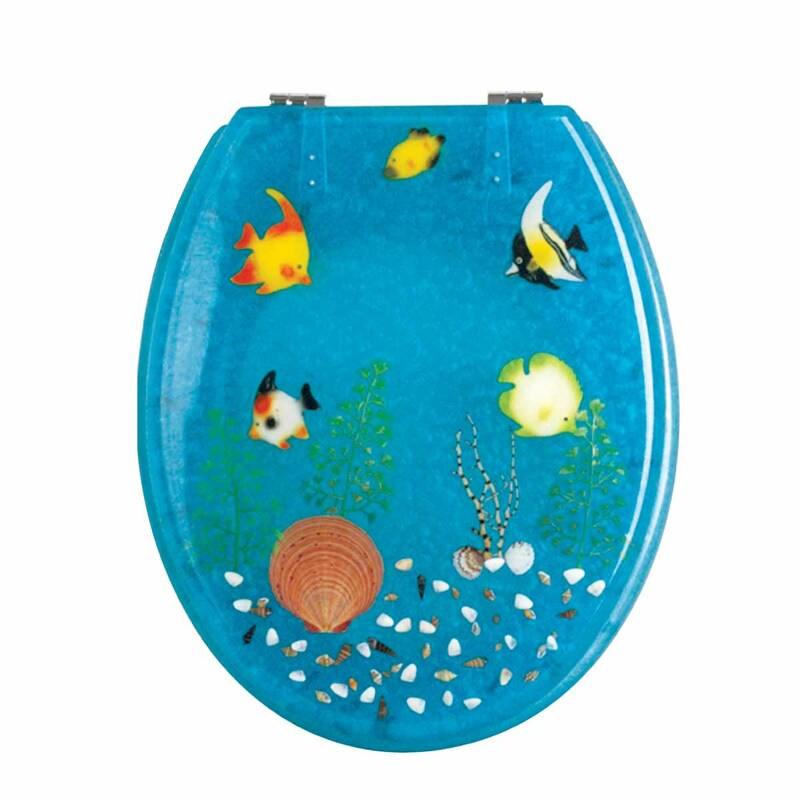 With this beautiful toilet seat in your lavatory you can enjoy a breathtaking view of the seashore and aquatic life everyday.